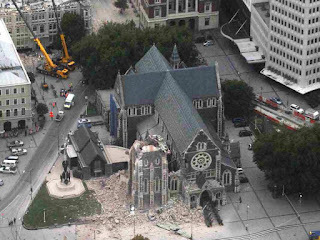 The Christchurch earthquake in February 2011 seriously damaged the 19th century cathedral as well as causing terrible additional damage and many deaths. It is now certain the building must be demolished. What should replace it? Noah Cremisino has posted an article about the lovely old cathedral in Christchurch, New Zealand. The remains of the old building are unsafe and unrepairable. He asks his readers to suggest what should replace it at the centre of the city. Although I'm an outsider and have never visited New Zealand, I'd still like to offer some suggestions. But first, I believe the city should give itself plenty of time to consider the options. If the building cannot be saved, perhaps the best thing would be to demolish the remains quickly, perhaps leaving some of the fallen stones where they lie as a memorial to those who lost their lives in the city. Then turn the rest of the site into a temporary garden until a decision can finally be made. There is no hurry and there will be many needs that are far more urgent and pressing, probably for some years to come. 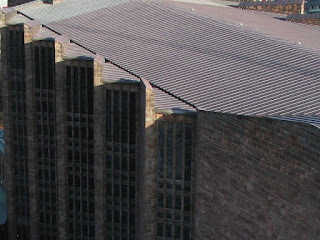 I would like to think that any new building would be a modern, earthquake resistant structure, but echoing some of the cathedral's iconic features - maybe a square tower and spire of the same size in the same place (a steel skeleton or a full building), some patterns similar to the geometric design from the old roof, even some of the original carved ornamentation reused to create landscape features. Consider using the ground floor of any new structure as a multi-purpose space for concerts, large church gatherings, temporary exhibitions etc. Include rooms of various sizes as well as a place for coffee, an earthquake library, a before and after photo display, etc. Most importantly, involve the city's population in making suggestions and voting on ideas before any final choices are made. You might like to review how Coventry Cathedral in the UK was rebuilt after its destruction in a World War II air raid. The old ruins and the new building are full of messages for anyone with eyes to see. It's a different culture and a different era so there's no direct application from Coventry to Christchurch. But you might do something very different yet still draw on some principles from the Coventry experience. 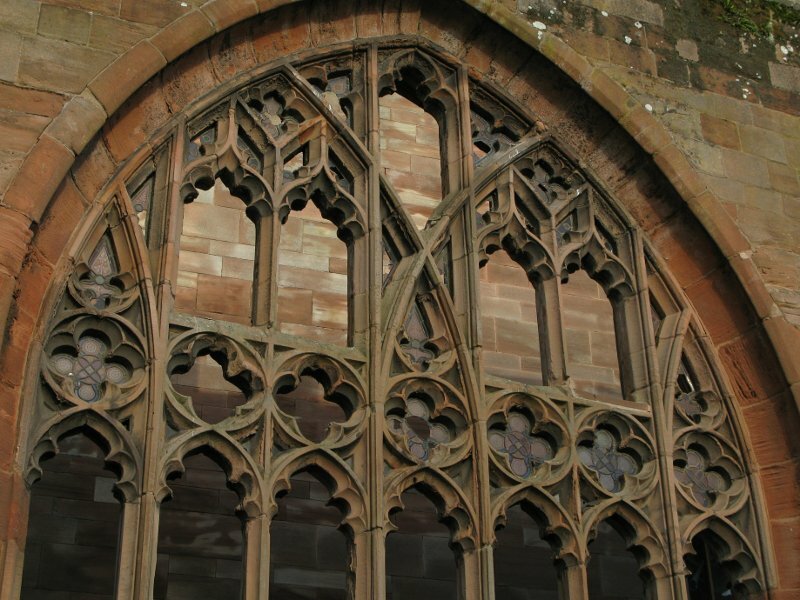 In fact, why not contact the city and cathedral of Coventry and set up a Christchurch/Coventry exchange or twinning arrangement? Compare notes and visit one another's cities. But that's more than enough from an interfering old Brit. I'm confident that the city and people of Christchurch will come up with a really great way to use this tragically available city space. What better way to end this article than a quote from the Bishop of Christchurch, Victoria Matthews. The Diocese of Christchurch promises to work with the people of Christchurch-Canterbury as we recover together. We are a resurrection people. No amount of death and destruction will defeat us. 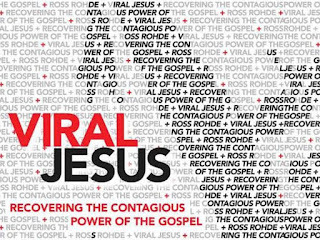 'Viral Jesus' is an excellent new book by Ross Rohde. It's well worth reading, be prepared for a challenging and absorbing romp through church history and more - much more. If you have no idea what a 'viral Jesus movement' is it will be a voyage of discovery. If you're already familiar with such movements your thinking will be expanded by the many examples from real life and you'll be encouraged as Ross shares his heart. Those three themes do not capture everything in the book, but they do give a sense of the framework Ross uses. And it was a good choice, allowing him to lay everything out in a logical way. Lying deep beneath these themes and the many great stories are two important factors that crop up again and again. One of these is the idea that our thinking in Western culture is based on a Greek philosophy far different than the Eastern view of the world so familiar to Jesus and his disciples. The second is the important principle that we are called to follow Jesus in practical ways - to do what we see him do and to say what we hear him say, no more, no less. [T]he way to live consistently in a deep, obedient, abiding relationship with Christ our Lord has to be learned. For that we need each other in community. We also need the guidance of more mature believers. These believers don't decide for us what we are to learn; they help guide us to the lordship and direction of Jesus himself. They push us toward Jesus; they don't step between Jesus and us. To do so would be to play the role of priest. We are all priests in that we have a direct connection with God. Yet we have only one High Priest, and his name is Jesus. Viral discipleship will lead us into an ever-maturing and obedient relationship with Jesus himself. That will end up having a profound impact on our lives and the world around us. Read Ross Rohde's blog for more about Ross and some of the ideas behind the book. There's also a link for buying the book online. Seeing the Earth from a new perspective is always worthwhile. If you are interested in astronomy and spaceflight you may have seen this before, but if not you might be astonished at the beauty and sheer excitement of these moving images. Most of them show the Earth at night. I've been unable to find time to blog recently, but I hope to get back to it again soon. 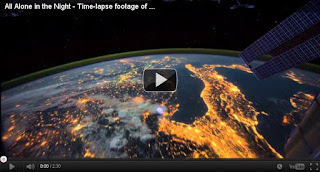 Meanwhile here's a treat for the senses, a series of time-lapse videos from the International Space Station (ISS) set to music. You will see yellow city lights at night, blue-white lightning flashes, beautiful green aurorae and more. It is just glorious and gives a real sense of the Earth's pulse. It seems as though the planet itself is alive! This material comes courtesy of NASA via the APOD website. Chances are, you have never seen the Earth in this way before. Enjoy it and marvel at the beauty, colour, and sheer dynamism of the planet you live upon. A chain of posts by a series of authors on a single theme is called a 'chain blog'. 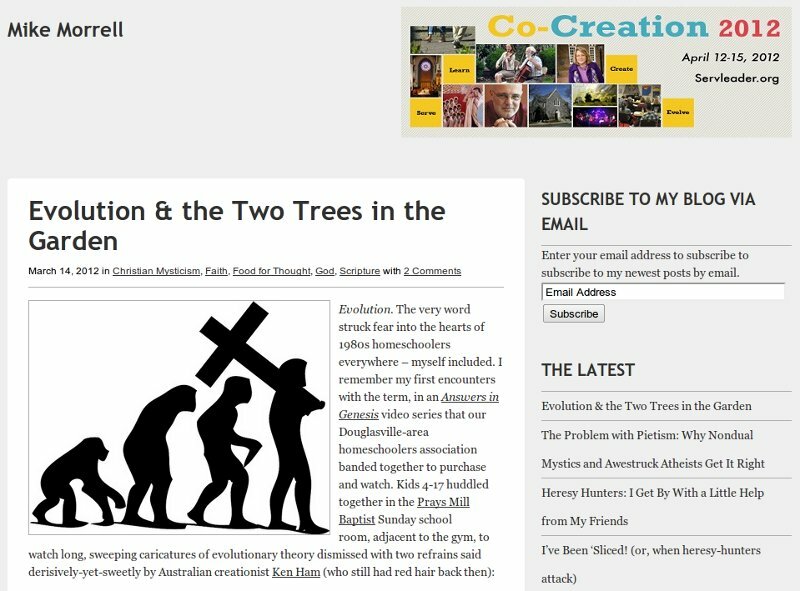 This chain blog is on the topic of spiritual fruit; if you're a blogger we'd like to encourage you to join in. It's easy! 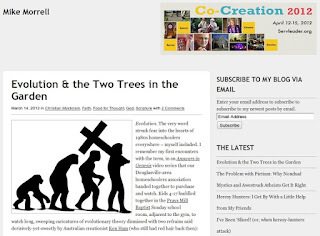 Just write an article on your own blog and get it linked in. The 'Spiritual fruit' chain is based on Galatians 5:22-23 where Paul lists nine components of this fruit - love, joy, peace, patience, kindness, goodness, faithfulness, gentleness, and self-control. But please feel free to write on any related topic. Check below for the simple rules. This list will grow as contributions come in. It may grow rapidly or slowly. We shall see. Feel free to contribute the next article on your own blog. 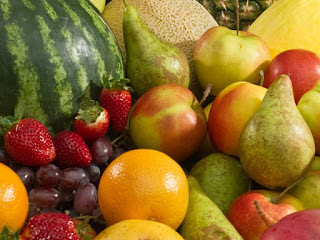 It might be about fruit in general or about a particular aspect such as patience. It might offer practical advice or investigate some principles. Or it might consider how the presence or absence of fruit affects us and those around us. Or... whatever occurs to you. Chain blog rules - these are based on the original rules devised by Alan Knox. 1) If you would like to contribute a post on your own blog, please begin by adding a comment to this index page and I will add you to the list above. If there are people ahead of you in the list wait until those people have posted before publishing your own contribution. That way you will have the opportunity to respond to whatever they may write and the chain will remain more cohesive. Think of the posts in the chain as being like chapters in a book. 2) Feel free to leave comments on the individual blog posts without taking part in the actual “chain”. Your comments and discussion are very important in this chain blog. 3) When you write a new link in this chain, please leave another comment here on the index page to let me know that your article is ready. 4) Please include links in your article to this index page and to the previous and next articles in the chain. If possible include these links at both the top and the bottom of your article. This will make it easy for readers to navigate the chain.